Wall Street is preparing for tariffs as Gary Cohn leaves the White House. The Dow fell Wednesday by as much as 349 points, but recovered most of its losses and closed down 82. "This has been a jittery market," said Quincy Krosby, chief market strategist at Prudential Financial. Investors were holding out hope that Trump would soften his vow to impose a tariff of 25% on imported steel and 10% on aluminum, but the White House is moving forward with the plan. Cohn, Trump's top economic adviser, fought the tariffs. "We expect that the president will sign something by the end of the week," Press Secretary Sarah Sanders said Wednesday. She said there could be "carve-outs" for Canada and Mexico. Wall Street fears broad tariffs would be the opening salvo in a trade war that could damage the economy. Trump's tariff announcement last week shook Wall Street and led to backlash from top US trading partners, including Canada and the European Union. Tariffs will "hurt business and investor confidence, which are two of the pillars holding up the markets," said Brad McMillan, chief investment officer for Commonwealth Financial Network. NAFTA talks also loom in the background. Trump has threatened to tear up the 1994 trade agreement between the United States, Canada and Mexico. The three countries have made little progress on a re-negotiated deal since beginning talks in August. "The market is holding its breath and getting ready for a clearer picture," said Ryan Detrick, senior market strategist for LPL Financial. US companies with less investment overseas are emerging as winners from the trade uncertainty. The Russell 2000 index, which tracks small companies, closed up for the fifth straight day. 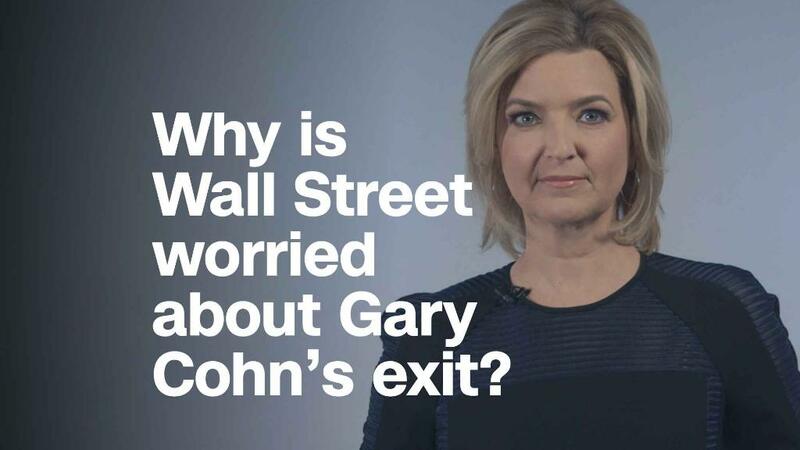 Otherwise, though, investors grappled with Cohn's impending exit. Cohn, a former Goldman Sachs (GS) president, helped design Trump's tax cuts and was one of the administration's leading proponents of free trade. He served as a calming influence on the market. McMillan said Cohn was seen as "the voice of economic stability and a spokesperson for financial markets." "His resignation leaves the president with a set of economic advisers largely seen as outside of the mainstream, or at least perceived as less aligned with Wall Street interests," he said. Investors view Trump's choice for Cohn's replacement as a window into the president's future trade moves. They "want to see Cohn 2.0," Detrick said. — CNN's Matt Egan and Kevin Liptak contributed to this report.